There is an ongoing battle between conservationists and farmers over the future of high-country farming. Groups with recreation interests are also involved in the fight. For much of the last 20 years, the rules of the battle have largely been determined by the Crown Pastoral Lands Act of 1998. This has led to some win-win situations for all parties, but has also been mired in controversy. I have written about some of those issues here and here, and in particular the importance of understanding the full extent of the perpetual land-use rights granted to runholders under the 1948 Land Act. Without an understanding of New Zealand land law, little else that has been happening in relation to high-country matters makes sense. More recently, the battle ground and rules of the game have changed such that it is through the RMA (Resource Management Act) of 1991 and various subsequent amendments where disagreements are now fought out. District Plans and the Environment Court are the new theatres of war. If one asks the various parties as to who is winning, then all would say it is someone else. No-one is satisfied with current outcomes, at least in their public statements, because everyone wants more. However, there is little doubt that the pendulum has swung, such that whereas some high-country farmers were previously getting wins in regard to irrigation and subdivision for lifestyle blocks, most are now on the back foot. The rules of the game have indeed changed. Here I focus on the Mackenzie Country, although recognising that high country issues may play out somewhat differently elsewhere. 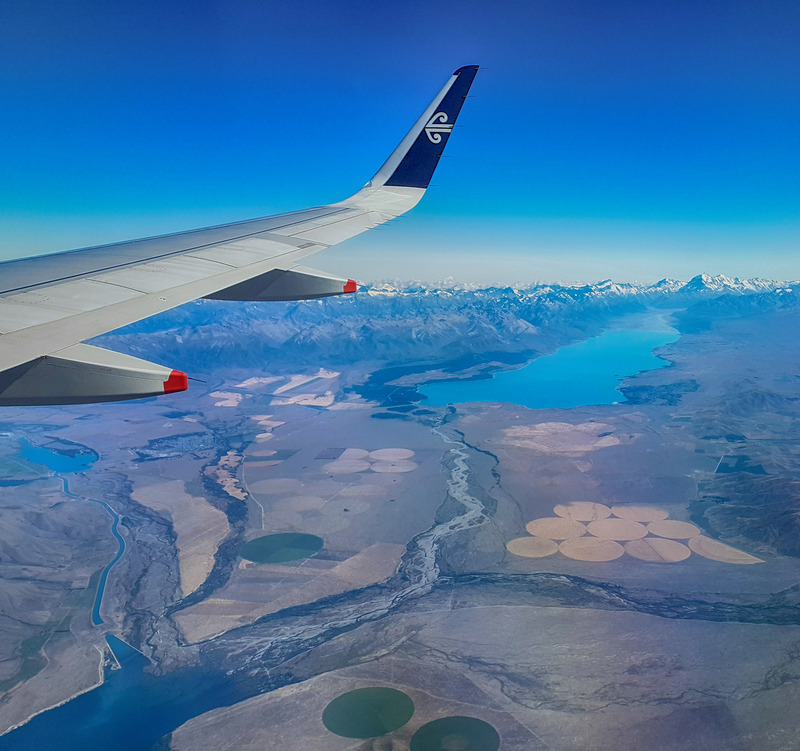 Nevertheless, it is the Mackenzie Country, from Burkes Pass across to Tekapo, and down through Pukaki to Omarama, that is defining the path to the future. Under the old rules, farmers had de facto permission to topdress with fertiliser, to oversow both grasses and nitrogen-fixing legumes, and to construct subdivision fencing. In theory they needed permission, but in practice the officially sanctioned and encouraged philosophy since at least 1948 was that development of land was appropriate wherever that development was economic. Under the old rules, the Commissioner of Crown lands acted as a benign landlord. Even irrigation to provide winter feed was regarded as consistent with pastoral farming and therefore approved wherever it was feasible. For many years, a key focus of the high-country R&D system was the Tussock Grasslands and Mountain Lands Institute (TGMLI) at Lincoln University. There was a considerable team of scientists and extension people involved, but in my mind Dr John Hayward and Professor Kevin O’Connor, both now deceased, were leaders who epitomised what it was all about. They both had a deep love of the tussock lands, and both sought an evidence-based multiple-use pathway to the future. The environment and production were both considered important. The TGMLI did not survive the economic reforms of the early 1990s and personally I regret that. Today, things are much more tribal. One is either for conservation or one is against. Similarly, protagonists are either hard-wired in favour of more recreation access or hard-wired in opposition. And folk tend to be either fiercely supportive of farming or fiercely antagonistic. Most people think they hold the moral high ground, and go forth to battle from there. Several years ago, the various parties came together with what seemed an historic agreement, called the Mackenzie Agreement, to work together, with give and take. But nothing then actually happened, and rather than actually working things through together the issues are instead being fought out in the Environment Court. In the Mackenzie, the key battles have been fought over what it called PC13 (i.e. Plan Change 13), with key outcomes determined in the Environment Court by Justice Jon Jackson. A key decision in April 2017 confirmed that all new oversowing, topdressing and fences in the Mackenzie would require a specific consent by the District Council, and these rules apply regardless of whether the land is leasehold or freehold. In regard to irrigation, it can be safely assumed that there will be no new irrigation consents granted in the Mackenzie. However, there are ongoing fights over when the new rules became operative, and how this affects historical consents that are still being implemented. There are two major irrigation schemes in the Mackenzie. The first draws water from Lake Ohau and services six properties, of which two are dairy, between Twizel and Omarama. Parts of the scheme have been operative for more than ten years. The scheme includes a large dairy property just south of Twizel, with its huge pivot irrigator, which draws much comment from passing travellers. The second major irrigation scheme draws water from Lake Pukaki and is still being developed, led by business entrepreneur Murray Valentine from Dunedin. When complete, it will serve several thousand hectares on Simons Pass and Simons Hill Stations, much of it on glacial outwash below Lake Pukaki and draining into the northern arm of Lake Benmore. From the main highway it will remain well hidden, but it does stand out from the air. Parts of the Simons Pass and Simons Hill project could still get caught in relation to dates on which the PC13 rulings of Judge Jackson are finally determined to be operative. Judge Jackson has recently ruled that they were operative as from April 2017, but that ruling seems likely to be appealed. There are also multiple smaller irrigations projects, spread across the Mackenzie and still of considerable area, but largely hidden from the traveller’s eye. Once the existing points of law are settled, there will still be ongoing battles over management of the irrigation. There will be regulatory battles as to allowable leaching of nitrogen into Lake Benmore, and ongoing battles over water consent renewals. Also of importance, there are major unresolved differences of opinion as to the ongoing viability of dryland farming operating within the new framework where fertiliser and oversowing of legumes is either not allowed or heavily restricted. Many of us who are agriculturalists would say that the notion of grazing these lands without topdressing and oversowing cannot be long-term sustainable. With substantial amounts of nutrients being removed via animal products, then there has to be a source of incoming nutrients. This lack of nutrient balance explains much of the declining productivity across the mountain grasslands of the world. This has been occurring for many decades, and in some cases for more than a century. I wrote about that several years back. It is also central to a research project in the uplands of Central Asia in which I am involved. Returning specifically to the Mackenzie Country, we have to recognise that there are two stark options for each land unit. Option 1 is to graze sheep and add fertiliser plus grasses and nitrogen-fixing legumes to the soil. Option 2 is to totally remove the sheep and turn major parts of the Mackenzie into a dryland park for conservation and recreation. Regardless of the chosen option, or combination thereof, there is a need to recognise that this land will not look after itself. Wilding pines continue to march like triffids across the landscape, and hawkweed (Hieracium) is already the dominant landcover in big areas. As for rabbits, they may be subdued but they are never beaten. If the land remains in private ownership, then the farmers will need, as now, to spend large amounts on weed and pest control. They cannot do this unless the farming is inherently profitable. Alternatively, if much of the Mackenzie is to become a dryland park, then the managers of such a park will need a big budget just to hold the line. It cannot be done on the cheap. And in a park environment, the risk of fire in ‘howling norwesters’ will be high. These big picture policy issues of what is best for the High Country cannot be solved through district plans and the Environment Court acting in isolation. It also requires Central Government leadership. Otherwise the High Country will remain on a non-sustainable pathway. The problem is, as they say in economics, there is no free lunch. The idea that there are simple options for the High Country is naïve. This entry was posted in Land and water, Outdoors with nature, The High Country, Water. Bookmark the permalink.